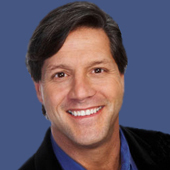 John Assaraf is a two times New York Times bestselling author, lecturer, business growth expert and entrepreneur. His expertise for achieving the psychology and strategies for success in life and business has him as a frequent guest on Larry King Live, Anderson Cooper 360, The Donny Deutsch Show, Ellen DeGeneres and numerous radio and print media worldwide. In the past 25 years, John has grown four multimillion-dollar companies and his current company OneCoach has helped over 5000 small business owners’ increase revenues profits and value.